Even though we would prefer to fight it, it seems pretty obvious that “Old Man Winter” is on his way for another year. As the top providers of seasonal gardening services in Toronto, we know a lot about winterizing your garden. 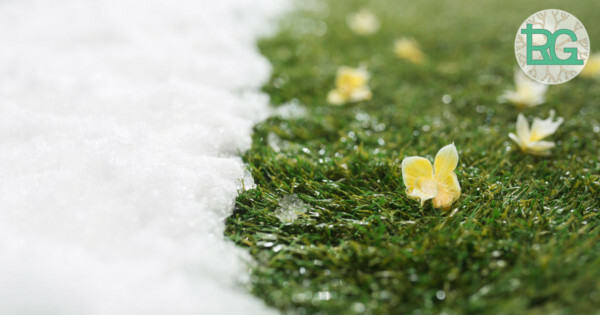 Each season brings something different and there are different ways to protect your plants. At the end of each season, we prepare your garden to survive the harsh winter weather. Here are some tips on how to prepare your garden for the winter. The first step is to keep your garden clean of weeds, unwanted and dead plants, leaves or flowers, any bug infected plants, or any other invasive plants. Any untended weeds and dead plants will die quickly during the winter months making cleanup in the spring more difficult. To make sure that your new plants and especially the perennial flowers are well established, consider investing in a garden cloche to drape your garden area. Be careful while choosing one. Make sure that it is the right size for your garden. Water is the elixir of life and that is what your garden thrives on. So, before you pack away your hoses for the winter, it is essential that you generously water your entire garden area and your plants, especially the new ones. Yes, you read that right, there are winter jackets for plants available online. New trees, shrubs and rosebushes are fragile, and they need a little extra protection from the snow and the harsh winter winds. For your plants, you need to invest in the fleece jackets and for your rosebuds, cones are your best bet. If you have sensitive and tender plants like dahlias, cannas, elephant ear or any other form of tubers and bulbs then you can protect them by digging them up before the arrival of winter season. After digging them up, place them in a cool and dark place, like your basement and then re-plant again in the spring. This tip is especially crucial for protecting those plants over the winter which have not established completely to the root. So, spread the mulch generously before winter begins.